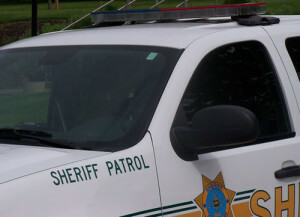 A man in Humboldt County is accused of stabbing a sheriff’s deputy. The Humboldt County Sheriff’s office announced in a press release that a Rutland man has been charged with assault on a peace officer using a deadly weapon. The Humboldt County Sheriff’s office executed a search of the residence of 47-year-old Michael J. Saeger in Rutland on Monday and, after initially talking to deputies, he became combative towards a deputy. Authorities said Saeger fled to a room with authorities giving chase and that he grabbed a knife and stabbed the deputy four times. The deputy was wearing body armor and was not injured. Saeger is being held at the Humboldt County Jail on assault charges, interference with official acts and manufacturing and possession of controlled substances.